Had a couple friends over last night and we played a game of Civilization by Fantasy Flight Games. I ended up squeaking out the win with a Cultural victory. I really like this game, there's lots of things to do, four different ways to win, lots of options and every game is different. 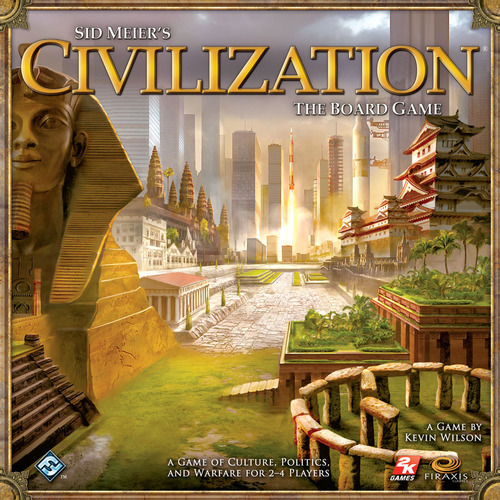 For a game that was released last year I'm kind of surprised that FFG hasn't released or even announced an expansion for it. The game is just asking for more nations, map tiles, tech cards etc. On my paint table is a batch of 15mm infantry, a couple supply terrain pieces, some buildings and a ship for Full Thrust. Hopefully I can get some of these done this weekend (pipe dream, I know). 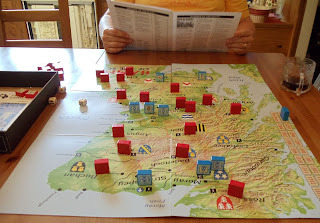 Tonight I went over to Mark Wall's place for some games of Hammer of the Scots by Columbia Games. We ended up playing 3 games, 2 of them went rather briskly but the third we played to a draw as it was getting late. I think the "The Bruce" scenario is overall a more balanced scenario than the "Braveheart" one. I like this game, it's simple and has some really nice mechanics. I like the rotating-your-block mechanic to reflect damage. It keeps board clutter to a minimum and avoids things like casuality chits or markers. I look forward to getting in more games. 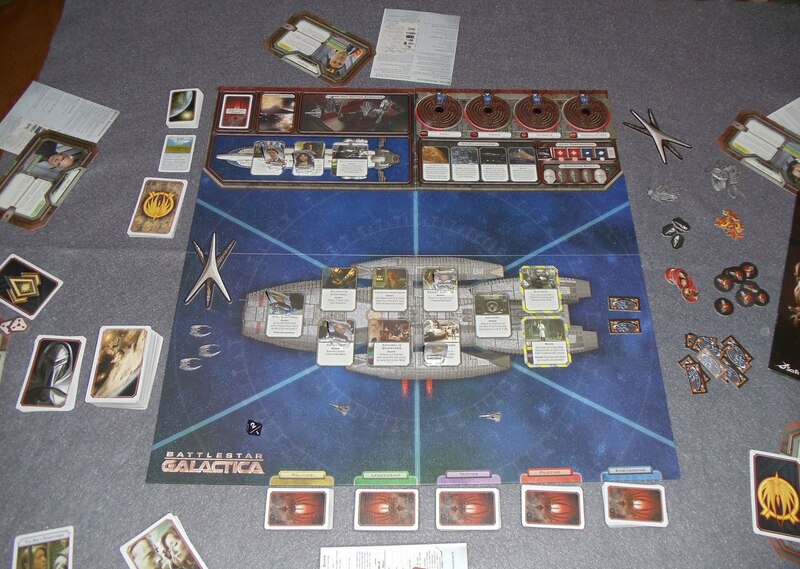 Last night I had some friends over and we had a couple games of Battlestar Galactica by Fantasy Flight Games. The first, well, let's say it ended in a draw but it was starting to go downhill for humanity. 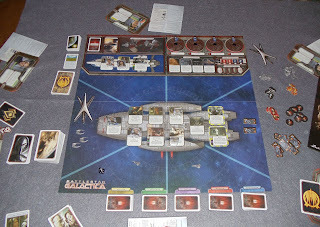 The other game was a clear Cylon win mainly due to one Cylon player going undiscovered for the entire game all the while being named as the Admiral and the President. It's a really good game and as the game progressed the cries of "You're a damn toaster!" were heard many times. Tonight I finished my first batch of 15mm infantry for my U.S. faction. These are from Ground Zero Games NAC faction. I enjoyed painting these as compared to my other faction, I think mainly because I painted these in a small group of 16 instead of 2 large batches of 40. The picture isn't the greatest (I really don't have adequate lighting), but they are pretty nice. 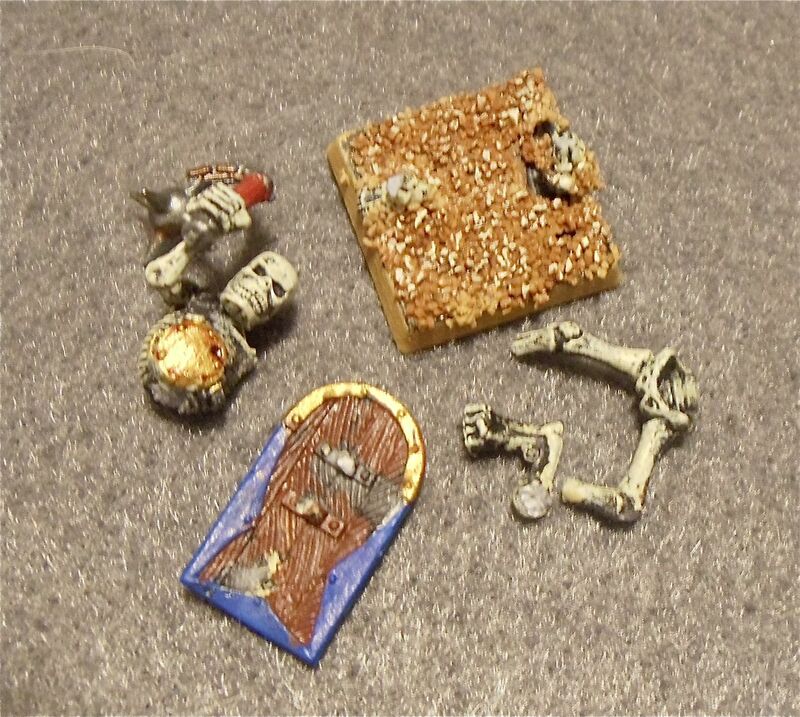 On Tuesday I had a game of 2500 point game of Warhamster pitting my Tomb Kings against Dave's Vampire Counts. The pic below pretty much sums up how the game went. No I didn't smash my army in a fit of rage, I accidentally stepped on him. Perfect end to the evening. I learned three things from the game: 1. don't play TK with 1 wizard (even if he is level 4), you're going to lose, 2. TK undead summoning is an absolute pathetic joke compared to Vampire Counts. And 3. without magic dice a TK army can't win. I had on my paint table a box of 10 new Tomb Guard and a couple TK characters but I'm so utterly disgusted with Tuesday's game that I just shelved the whole lot. I don't even want to look at them. So next up is some more 15mm infantry and some 15mm buildings and maybe a ship for Full Thrust. Tonight I finished off a Bloodthirster for my Daemon army. 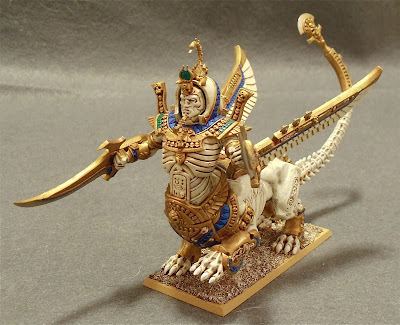 Probably my least favourite of the greater daemon minis. Some of the detail was less than stellar and there was large gaps to fill in between the wings and the body. On my painting table right now is some 15mm sci-fi infantry. 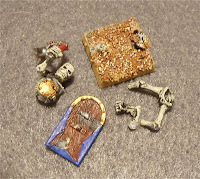 After that will be some Tomb King Tomb Guard and a handful of skellies. Tonight I finished my Necrosphinx. This was a rather fun mini to paint and is suitably impressive. 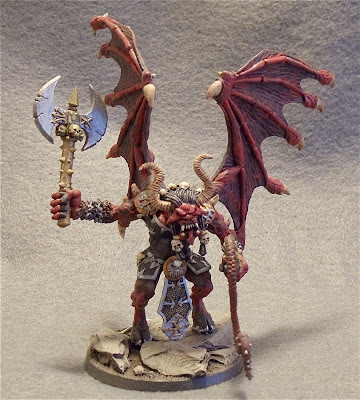 Next up is a Bloodthirster for my Daemons and some 15mm infantry. 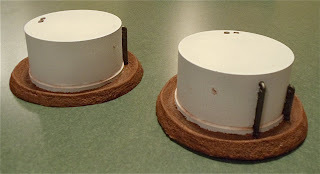 Today I finished some terrain for my 15mm sci-fi project. First up is a pair of storage tanks. These are from JR Miniatures' 15mm WWII line. 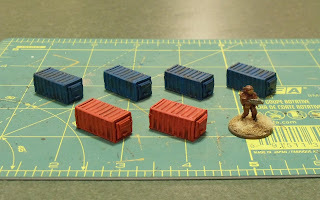 Next is a pack of medium cargo containers from Ground Zero Games. The mini is a 15mm Earth Force Marine from Rebel Minis. 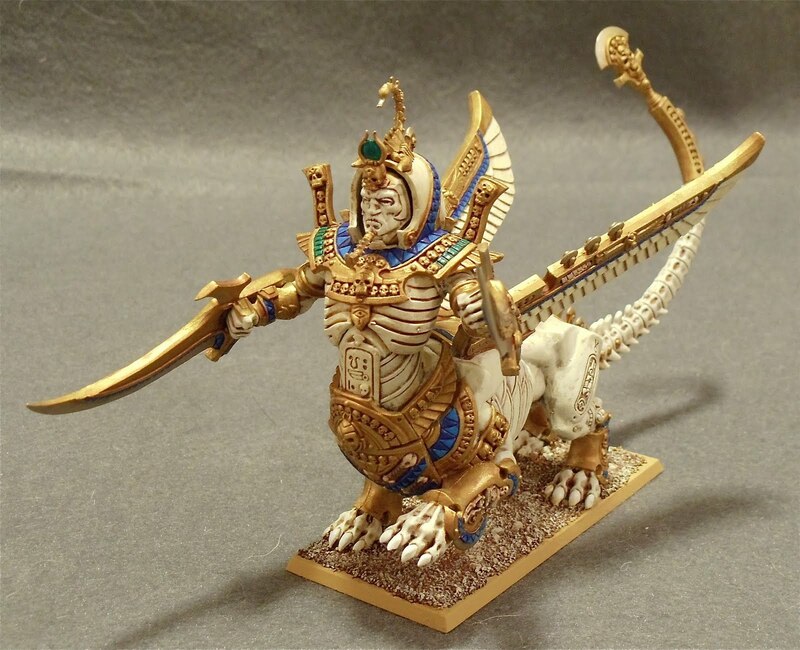 I'm just basing up my Necrosphinx for my Tomb Kings army and should have it posted up tomorrow night. Sitting on my paint table is a handful of 15mm sci-fi infantry and a Bloodthirster for my Daemon army.